This is an anthology from the project ‘Situations and Circumstances’ — an ongoing series that studies seemingly mundane auditory situations by observing their spatial, temporal and quasi-musical developments. The project utilizes the methodology of uninterrupted, unedited and unprocessed field recording in search of the hint of a story or developing narrative that eventually unfolds in time. The purely situational and circumstantial evidence found in these works are primarily inclined to capture and frame the mystical attributes of sound. Thus, this series of works investigates the phenomenological development of sonic experience at apparently locative but in essence itinerant and uncertain auditory situations that appear and diminish keeping likely chronicles in the field recordings. Being in open-ended situations and allowing listening to unfold innately are the primary drives for the project, thus rendering the compositions ‘susceptible to divine influences’ as Indian musician Gita Sarabhai explained to John Cage in 1946 (Cage 1973: 158, 226). Following this, these works do not ascribe to the documentary approach of field recording by preferring rather to navigate around the epistemic structures and immediate meaning-making of sound. *Previously appeared on 100 x John, an initiative by Ear to the Earth in the spirit of the 100th anniversary of the birth of John Cage. 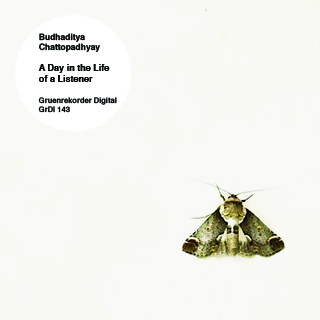 Recorded / Produced by Budhaditya Chattopadhyay.